Give it up for pancakes! This weekend, I was in Coimbatore for a live event with Dainik Bhaskar and I am humbled by the response, love and appreciation we got from the people of this beautiful city. While at the hotel I got talking with a British gentleman who told me how wowed he was by the ‘South Indian savoury pancakes.’ It took me a minute to realize that when he said ‘South Indian savoury pancakes’ he was talking about the humble dosa which is indeed a type of pancake. Now, pancakes are prepared all over the world and are referred to by different names. Pancakes are made with little over ¾ cup of liquid to 1 cup of flour. It’s a fluid mixture that can be beaten vigorously to make a smooth batter without developing the gluten extensively. Pancakes should be picture perfect golden brown on the surface and should be round. The size is strictly a matter of personal preference. They should be light and tender. Over mixing of the batter or too much flour in relation to the milk can cause pancakes to be tough. Several condiments can be added to batters to enhance nutritive value as well as create intriguing variations of pancakes. Additional variety is gained by using fruits and sauces for toppings. Crepes are pancakes with extra liquid added to the batter creating a very fluid mixture that produces very thin pancakes. Turns out, there is a lot of trivia about pancakes that is as interesting as the dish itself. On Pancake Day in Newfoundland (the day before Ash Wednesday, the beginning of Lent), items are placed in the pancake batter before it is cooked to foretell the future for family members. If a boy receives an item for a trade, it means he would enter that trade. If a girl receives an item for a trade, it means she would marry a person from that trade. Shrove Tuesday, also known as Pancake Day in Britain, is the day before Ash Wednesday and the start of Lent – ‘Shrove’ stems from old English word ‘shrive’, meaning ‘confess all sins’. It is called Pancake Day because it is the day traditionally for eating pancakes as pancake recipes were a way to use up any stocks of milk, butter and eggs which were forbidden during the abstinence of Lent. The first ready-mix food to be sold commercially was Aunt Jemima pancake flour. It was invented in St. Joseph, Missouri and introduced in 1889. It did not become popular until 1893 at the Columbian Exposition in Chicago, when the then current owners of the name and formula, R. T. Davis Milling Company hired Nance Green to be the ‘real life’ Aunt Jemima. She demonstrated the pancake mix at the Exposition and both Nancy Green and the mix were a big hit. In 1986, an event that bills itself as the World’s Largest Pancake Breakfast was revived for the 350th anniversary of Springfield, Massachusetts. The breakfast has been held every year since then. Hundreds of volunteers help with the event. In 1999, more than 71,233 servings of pancakes were served to more than 40,000 people. If you stacked up all those pancakes, they’d be more than 2 miles high! In India, the pooda (sometimes called cheela) is a pancake. They can be made either sweet or salty and are of different thicknesses in different places. They are made in a frying pan and are of a similar batter like their European counterparts. Dosa, appam, neer dosa and uttapam could be said to be other Indian pancakes. 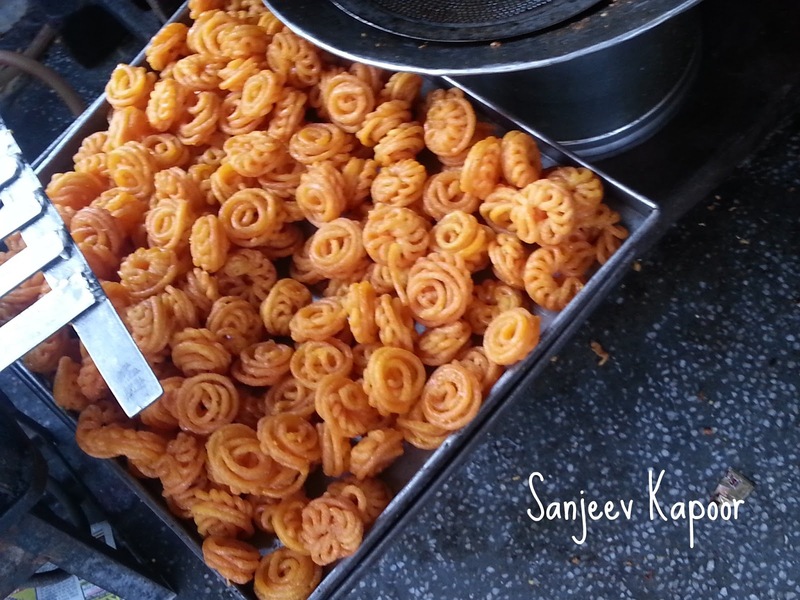 They are prepared by fermenting rice batter and split skinned black gram (urad) blended with water. What Punjabis call a meetha pooda is a common breakfast food item in Punjab. It is a sweet pancake which can be eaten with pickles and chutney. Most of the pithes in Assam are types of pancakes served on occasions such as Bihu. 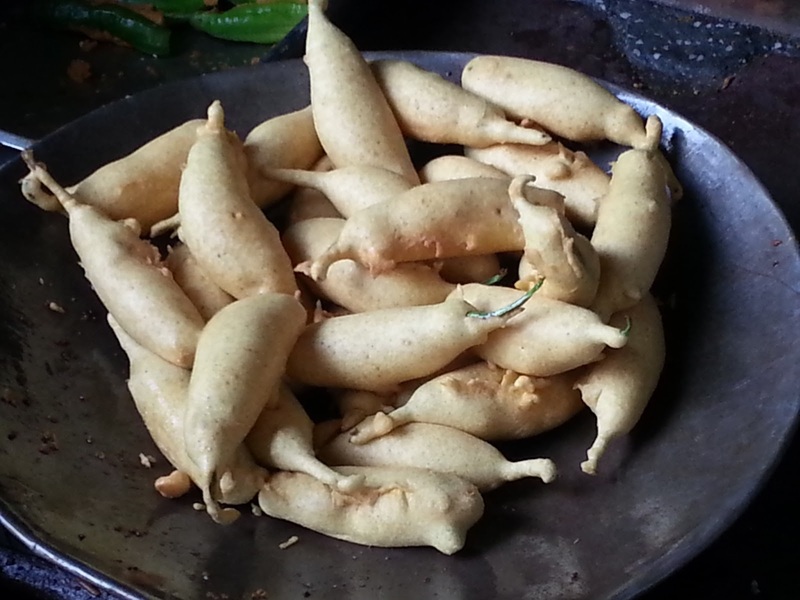 In Bengal is found a semi-sweet pancake calledpatishapta which is sometimes stuffed with grated coconut and thickened milk and dunked in sugar syrup. 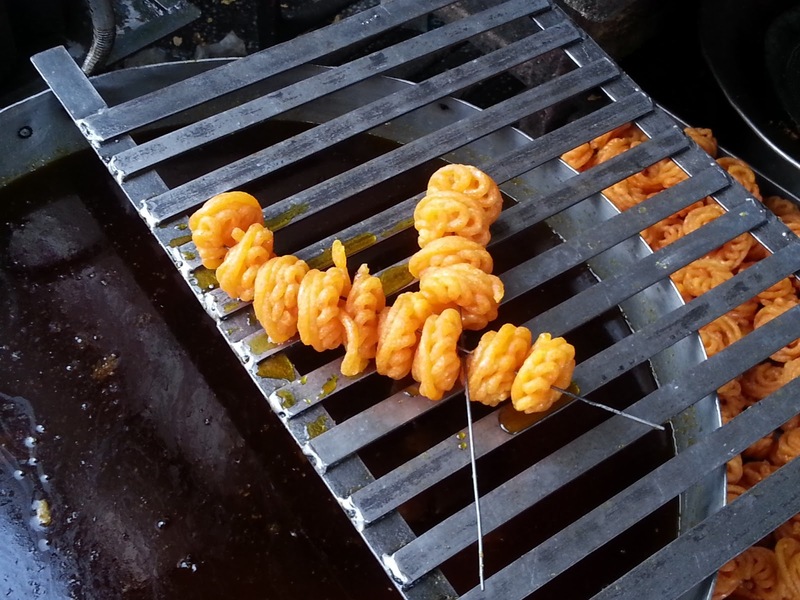 In most parts of India there is a sweet pancake called malpua which is served during various festivals and otherwise as well. Like I said before, pancakes can be created with several variations. So, we tried making a Black Pepper Malpua. May sound a little odd, but trust me the taste is perfect. Every time you take a bite of the sweet malpua you are pleasantly surprised by the slight hit of the fresh black pepper on your taste buds. I think all of you should try this recipe out as I am sure it won’t disappoint and also because this is something you won’t get to eat at any mithai shop. Don’t forget to tell me about the interesting food experiences you have had over the weekend. First and foremost I’d like to start by saying Ramadan Kareem to one and all of you. Hope you all have a successful and pious Ramadan. It is the time of the year when food is prepared with much exuberance and love and eaten with equal gusto. People prepare dishes that are passed down since generations. Missing out on even a single ingredient in such a dish can make a difference. One such ingredient is kesar (saffron). Saffron finds use in several Ramadan recipes be it sweet or savoury. You may think what difference a little pinch of saffron may make to your dish but don’t underestimate this beautiful ingredient. The smell, colour and flavour it adds to your dish are the kind that you are sure to miss when it’s not added to your dish. Since time immemorial saffron has occupied a special place in the culture and tradition of people. This exotic herb is famous for its medicinal, coloring and flavoring properties. Valued all over the world, especially by culinary and medical experts, saffron has a number of uses. This exotic herb finds mention in several ancient texts. It is mentioned in classical western writings and also in the Bible. It is specially mentioned in Bhavprakash Nighantu, an Ayurvedic text. The Arabs, who introduced the cultivation of the plant into Spain as an article of commerce, bequeathed to us its modern title of Zaffer or saffron, but the Greeks and Romans called it Krokos and Karokam respectively. Saffron is a native of Southern Europe. The La Macha belt of Spain is the largest producer of saffron in the world and contributes 80-90% of the world saffron production. Being there during the saffron harvest season is a treat to all the senses. In India the cultivation of saffron is confined to Pampore and Kistwar areas of Jammu and Kashmir, extending to nearly 4000 acres. Kashmiri saffron is valued all over the world for its fine quality and a large part of the saffron produced in Kashmir is exported. Saffron is one of the world’s oldest and expensive spices and it is so for a reason. An estimated one pound of saffron consists of about 225,000 to 500,000 dried stigmas and requires the picking by hand of 75,000 flowers. That gives an idea of the human labor involved in harvesting saffron and hence the precious nature of the spice. Saffron is very popular as a spice in all international cuisines. It is an indispensable ingredient in most Mughlai dishes and erstwhile Mughlai chefs used this herb liberally in the rich concoctions they prepared for the royal table. Saffron gives a beautiful tinge and a special aroma to a dish. It is used in sweets as well as in curries. In India, to serve dishes decorated with saffron is regarded as a mark of honor to the guest and has become the norm rather than the exception. On account of its coloring and aromatic properties, saffron is used mostly as a food additive in culinary, bakery and confectionery preparation. It is used in several exotic dishes, particularly in Spanish rice specialties and French fish preparations. 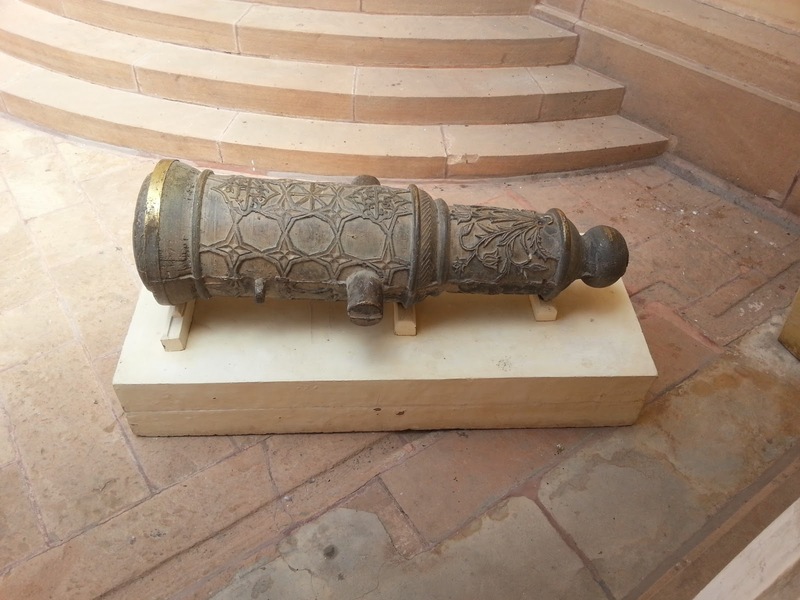 It is also used for coloring butter, cheese, pudding and pastry. People in Europe and India use it to season various foods be it sweet or savory. Saffron finds many uses in Ayurveda, Unani, Chinese and Tibetan medicine. It is popularly known as a stimulant, warm and dry in action, helping in urinary, digestive and uterine troubles. In Ayurveda, saffron is used to cure chronic diseases such as asthma and arthritis. It is also useful in treating cold and cough. Ayurvedic medicines containing saffron are used to treat acne and several skin diseases. A paste of the spice can be used as a dressing for bruises and superficial sores. Ancient texts on Ayurveda have information about the herb’s use as an aphrodisiac. It is largely used as an indigenous medicine across India. Saffron enjoys great reputation as a drug which strengthens the functioning of the stomach and promotes its action. It is beneficial in the treatment of several digestive disorders. It is used in medicines that reduce inflammation. A combination of saffron and ghee is used to treat diabetes. Saffron also merits usage as a strengthening agent for the heart and as a cooling agent for the brain. It has been found beneficial in the treatment of urinary problems. Traditionally saffron is believed to promote fairness of the complexion. The advertisements for fairness creams on television never fail to mention kesar as one of its components. It is an age-old belief that pregnant women give birth to ‘fair’ babies, if they consume saffron. However, saffron may induce abortion; hence pregnant women should not take it in large doses. Since saffron is very expensive, unscrupulous dealers often adulterate it. So one has to be very careful while buying saffron and should never buy it from roadside hawkers. In order to understand commercial saffron, it is important to know the make-up of the saffron plant. Commercial saffron comes from the bright red stigmas of the Crocus Sativus. The stigmas are the female part of the flower. In a good year each saffron crocus plant might produce several flowers. Each flower contains three stigmas which are only part of the saffron crocus that when dried (cured) properly, become commercial saffron. Each red stigma is like a little capsule that encloses the complex chemicals that make up the saffron’s aroma, flavor and yellow dye. In order to release these chemicals the threads are to be steeped. Though powdered saffron is more efficient, there is increased scope for adulteration. Sometimes the male parts of the saffron flower (the stamens) are added to increase weight. Sometimes ground yellow stamens are sold as powdered saffron. Legitimate powdered saffron is red-orange and is made by grinding saffron stigmas. Since over-use of saffron in cooking may lead to a bitter taste, one has to be careful. According to experts, for every tablespoon of saffron that you need to use, add three tablespoons of water. Use a spoon and make sure that the saffron threads get properly soaked; take care not to crush the threads. Then add the mixture to a glass containing about 30-50 ml of lukewarm water and mix thoroughly. Leave the saffron in the glass for a minimum of 2 hours. Prepare your recipe as usual and add the contents of the glass along with the saffron threads when required. Saffron is rightly called the magical herb. It has varied uses ranging from culinary to medicinal and beauty and has been highly valued by man since ancient times. Tell me how you make use of this precious spice. I’m sure you all agree that a tiny pinch of saffron is all you need to make that big difference in your dish. 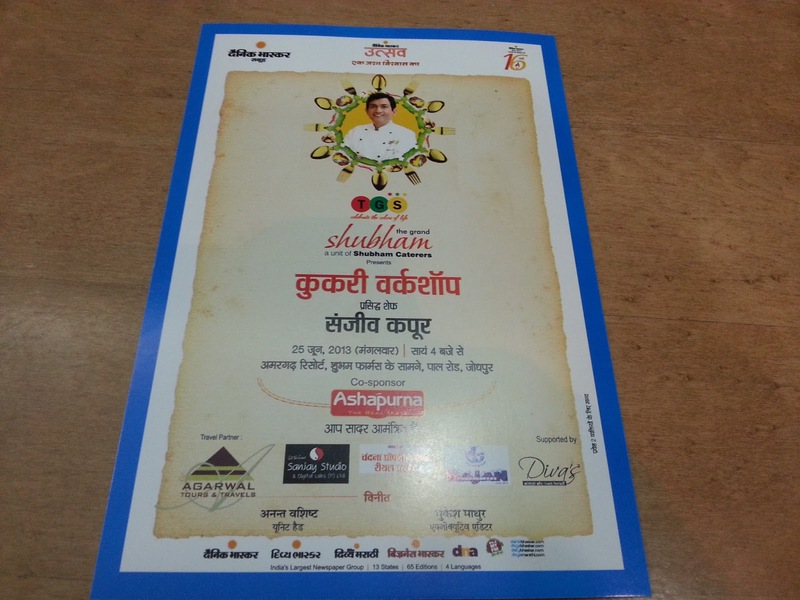 Off late, I have been travelling to different parts of the country to do a series of live events with Dainik Bhaskar. Doing live events is always great, because it lets me interact with my fans on a one on one basis! I can feel the energy and love from these people when I am cooking on stage and this is what makes the entire experience beautiful! 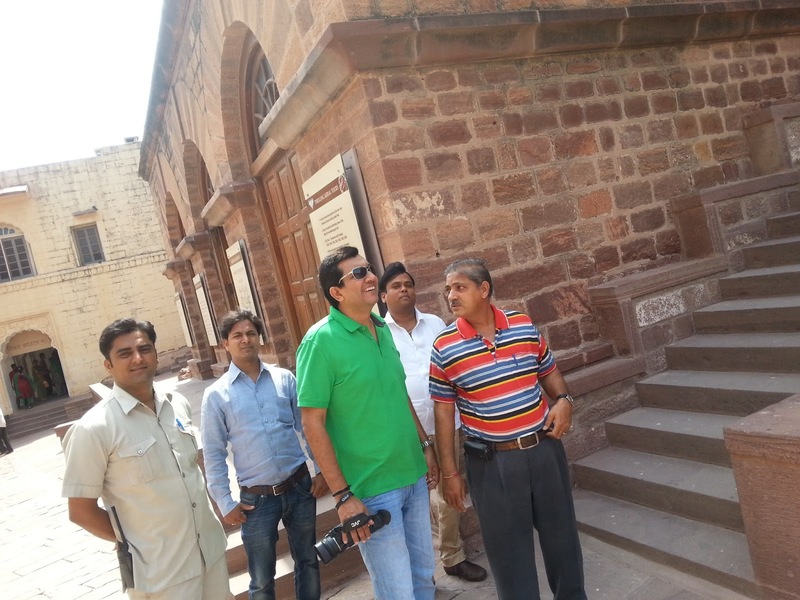 The event at Jodhpur on 25th June was one such affair. 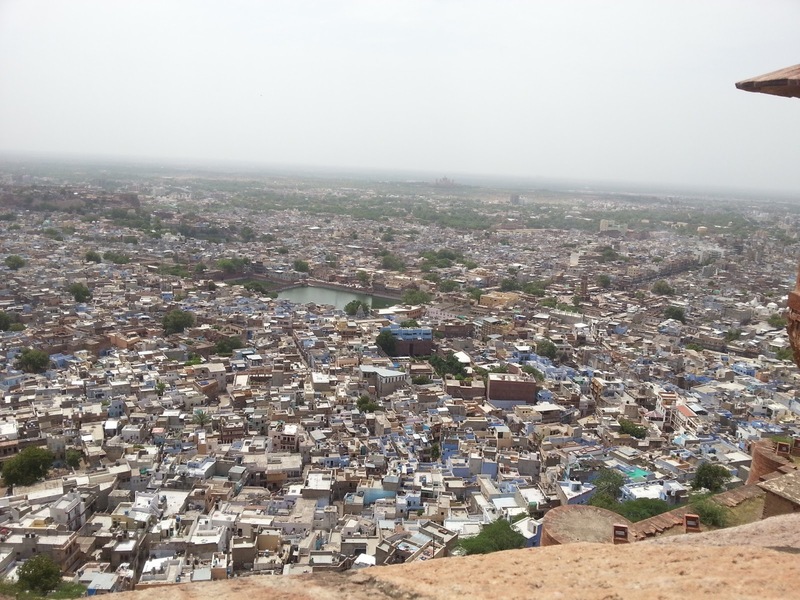 Jodhpur is a beautiful city with a rich and royal cultural heritage. It is known as “the sun city” because of the sunny weather it has year long. I have always liked Rajasthan because it proudly flaunts its tradition and customs like no other place and experiencing it firsthand is a pleasure! They say pictures speak a thousand words, so I am going to let the pictures do the talking for this blog post. 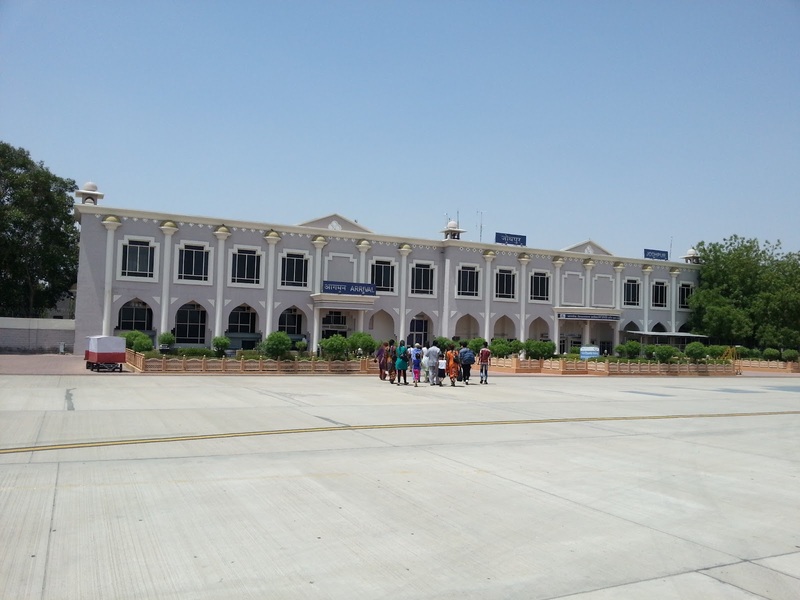 I arrived at Jodhpur International airport and already felt like a royal. Even the airport looks like a palace! The most important part of a live event is the crowd. 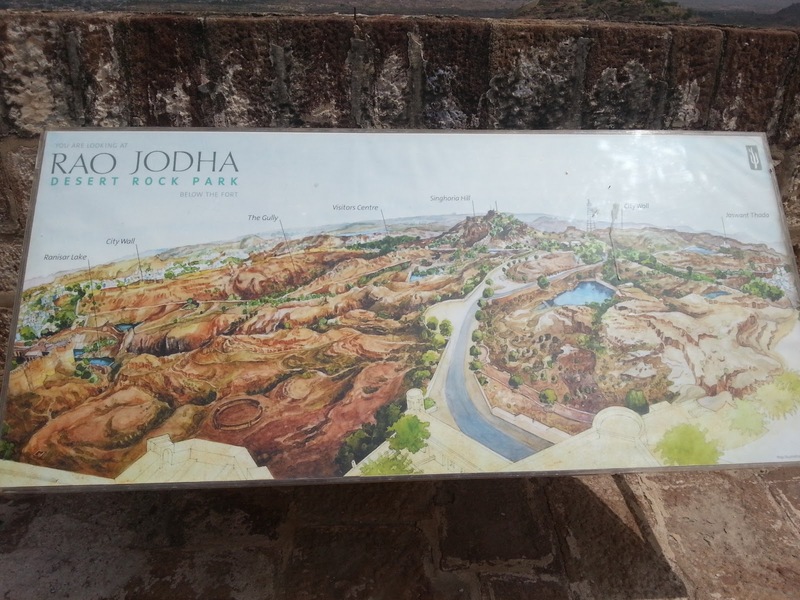 The people of Jodhpur were a great audience. 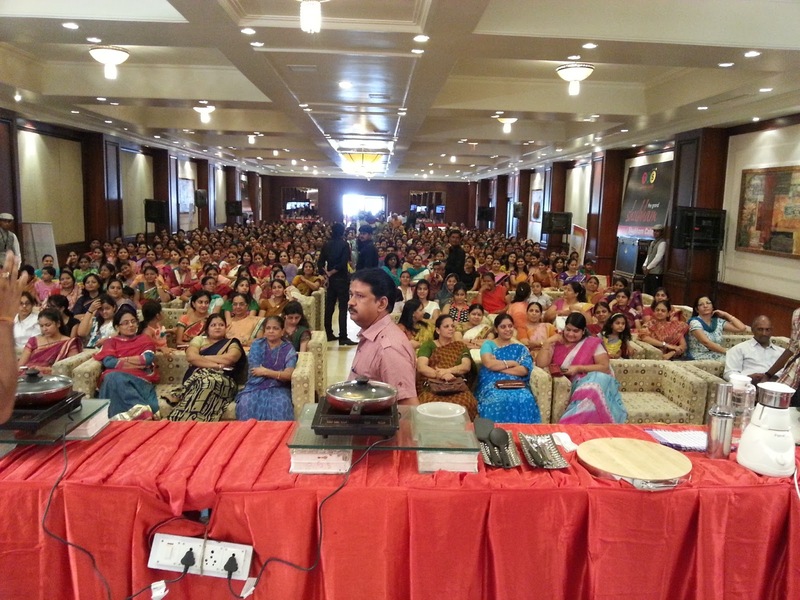 I had a blast doing this event because the people were so full of energy and enthusiasm. The people, mostly women, exceeded way more than the expected count. We had to put up giant screens in an adjacent hall just to accommodate more people. 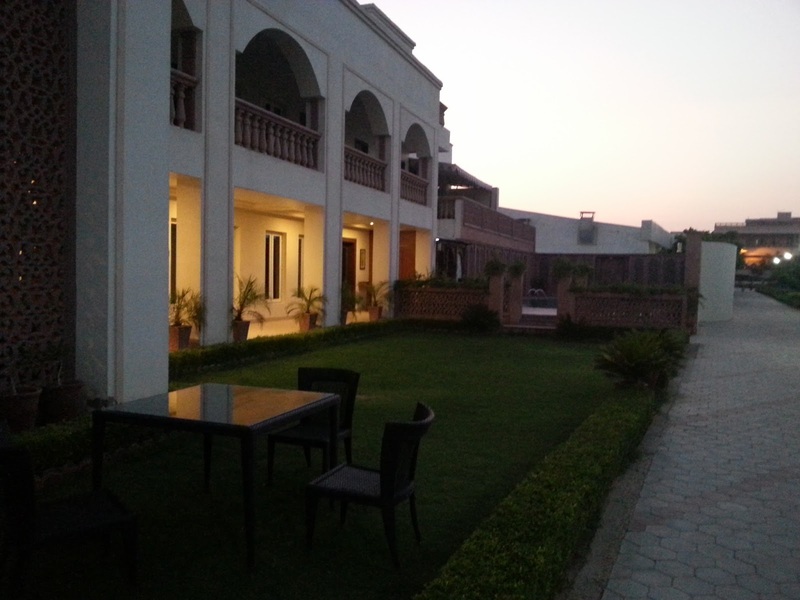 The Event Venue – after! 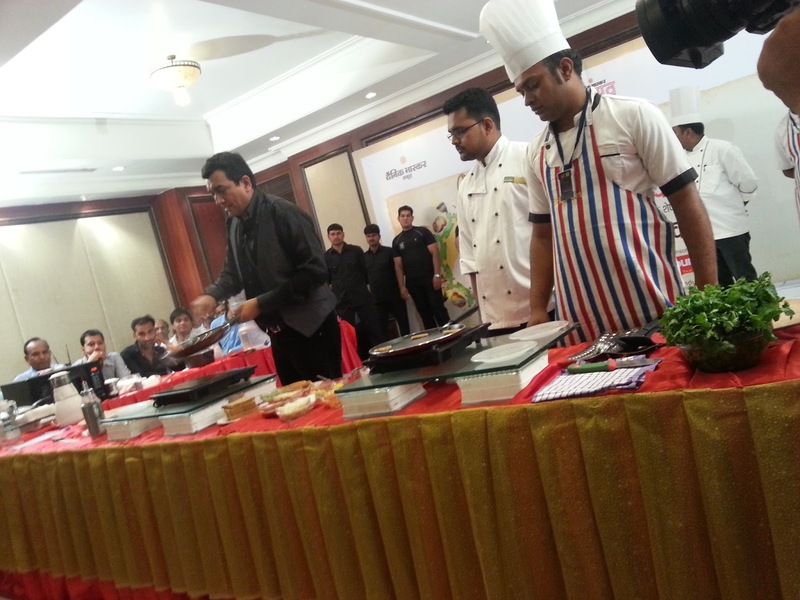 Me doing what I do best – cooking! I made a few vegetarian recipes, with a twist. Pav Bhaji Martini, Baked Chillies with Soya Sauce, Eggless Brownies, Golgappa Espresso Shots, Honey Chilli Potatoes, Methi Chaman Biryani and Pesto Pizza were on the list and judging by the reactions from the crowd I think they went pretty well. Post the event we took a 20 minute very interesting car ride to Umed Chowk for dinner at Hotel Raas Haveli. 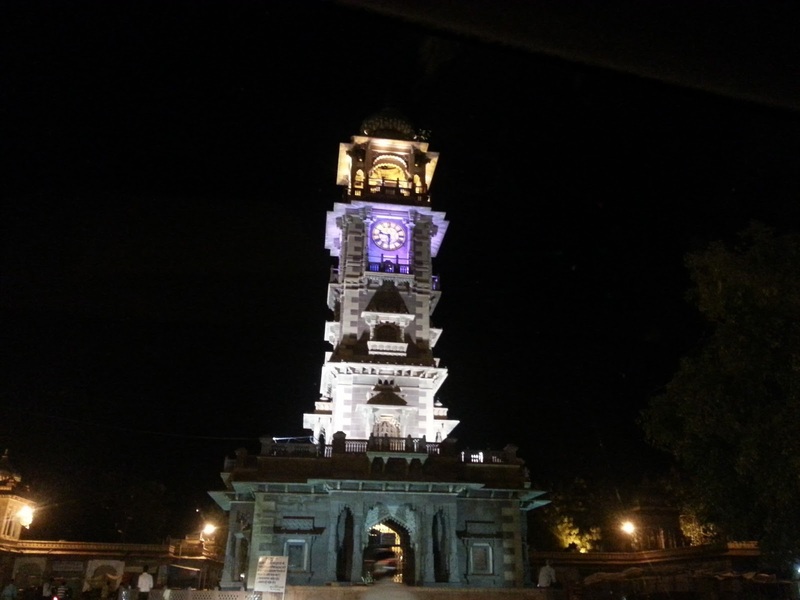 On our way there we halted to see the Ghanta Ghar or clock tower at Girdikot. 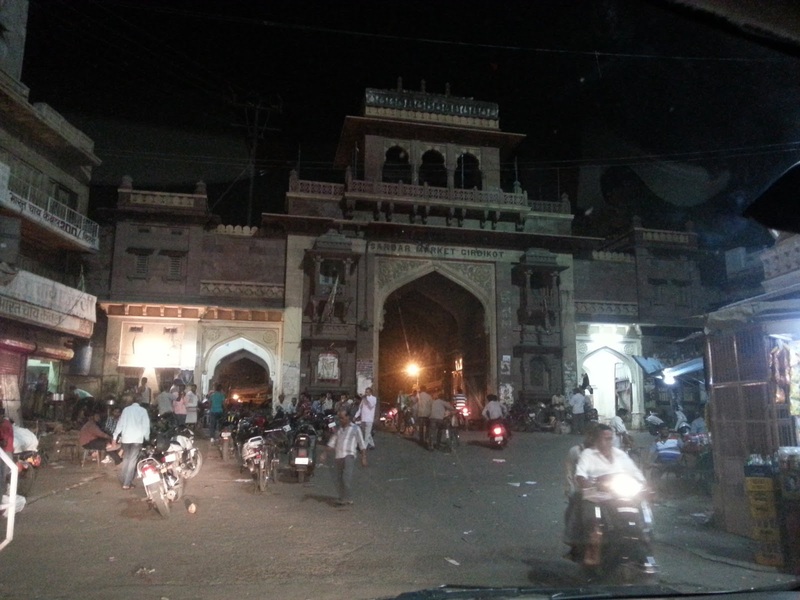 We went past Sardar Market at Girdikot at night. It is right next to the Clock tower. During the day this place is bustling with activity and you can buy anything from spices, traditional Rajasthani clothes, silver ware, puppets, household items and a list of other things from here. 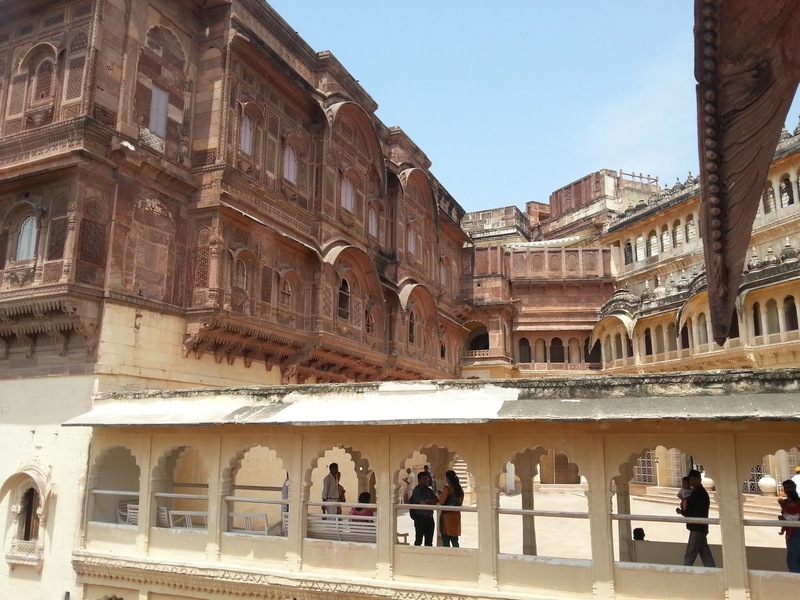 Raas Mahal – Like in other cases throughout Rajasthan, Raas Haveli too is a palace that has now been turned into a luxury hotel. They take the food eating experience to a completely new level. 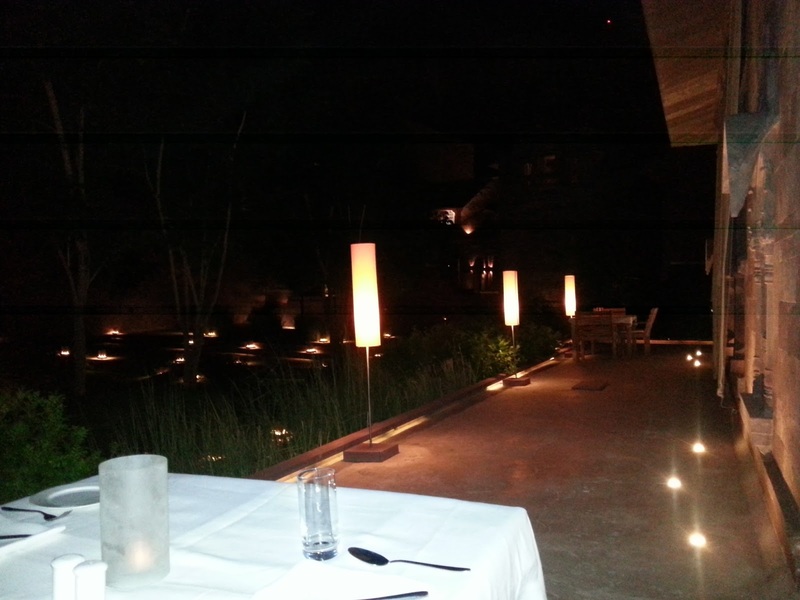 The entire place is dark and you are given a little torch to read the menu. 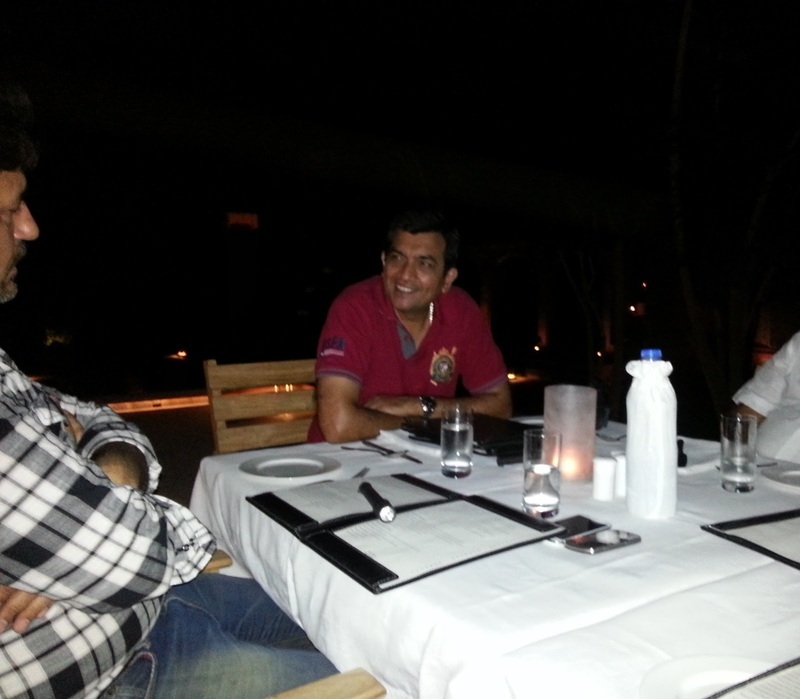 The gorgeousness of the meal and the non availability of lighting resulted in very few pictures. 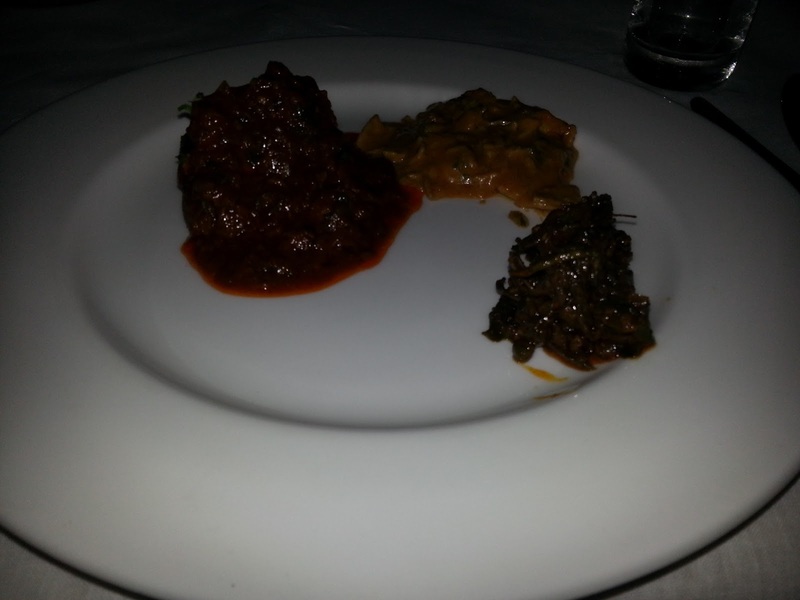 We went for traditional Rajasthani dishes – laal Maas, gatte ki sabzi, ker sangri, dal bati churma etc. eaten with different types of breads and rice preparations. 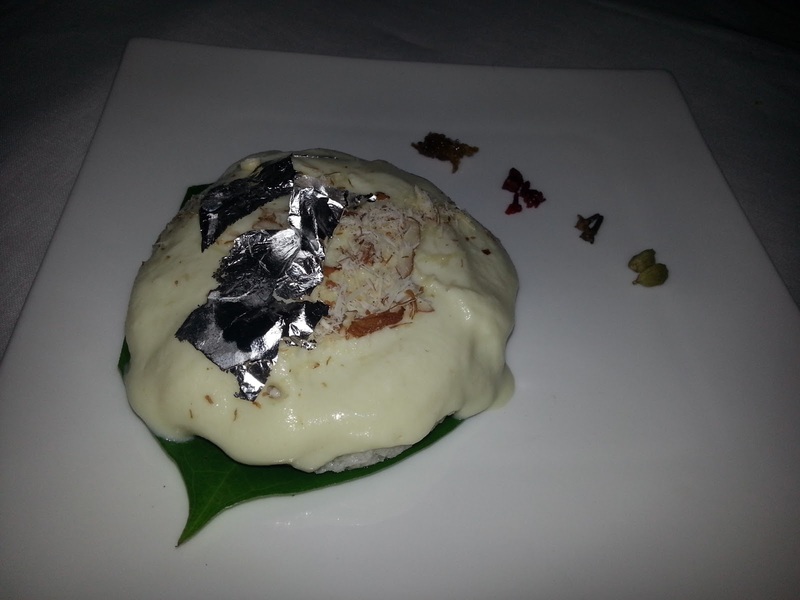 This meal ended with a pan rasmalai which is a perfect blend of the delectable flavors of a paan infused in a creamy ras malai! Words cannot do justice to these flavors and this experience! 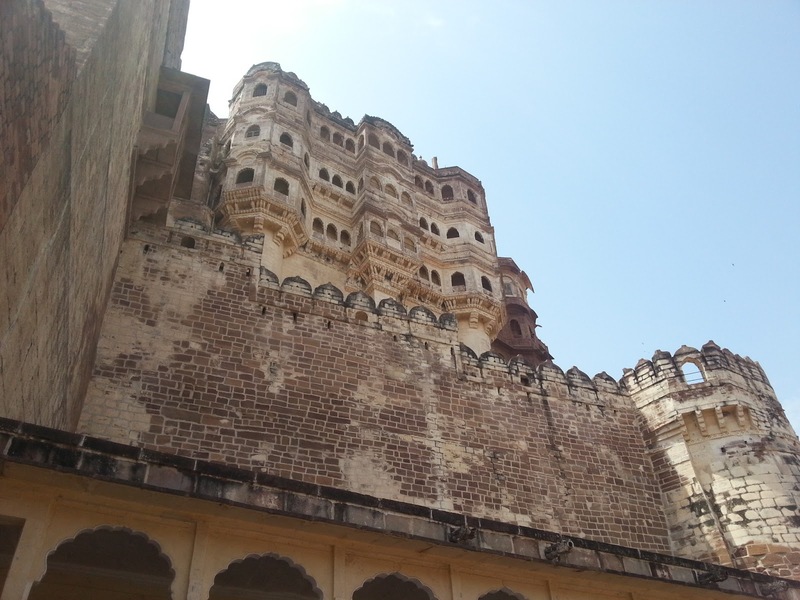 The next morning we went to see Mehrangarh Fort which is one of the largest forts in the country. You can see it at quite a distance. The sheer size and splendid architecture can blow your mind. Everything in and about the fort has an interesting historical fact or stories of rajputana valor related to it. 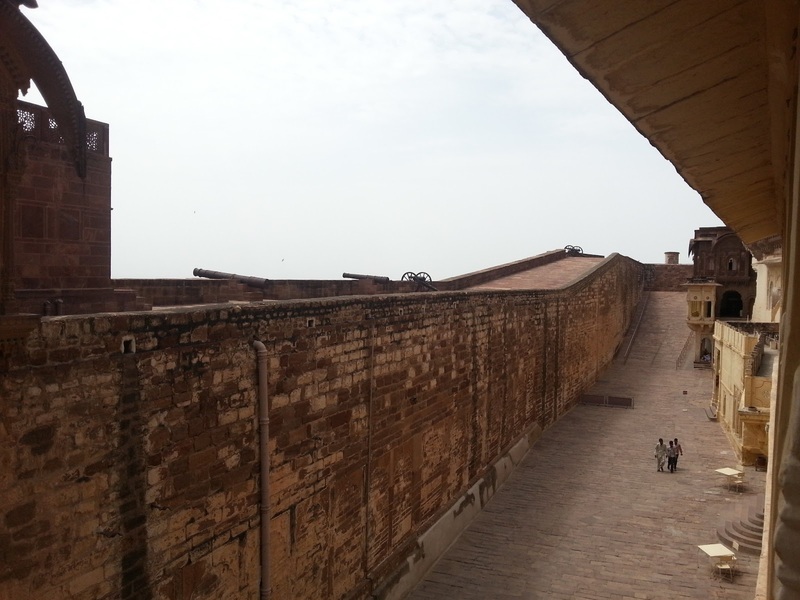 I was also told that a certain section of the Batman movie – The Dark Knight Rises was shot around the fort. 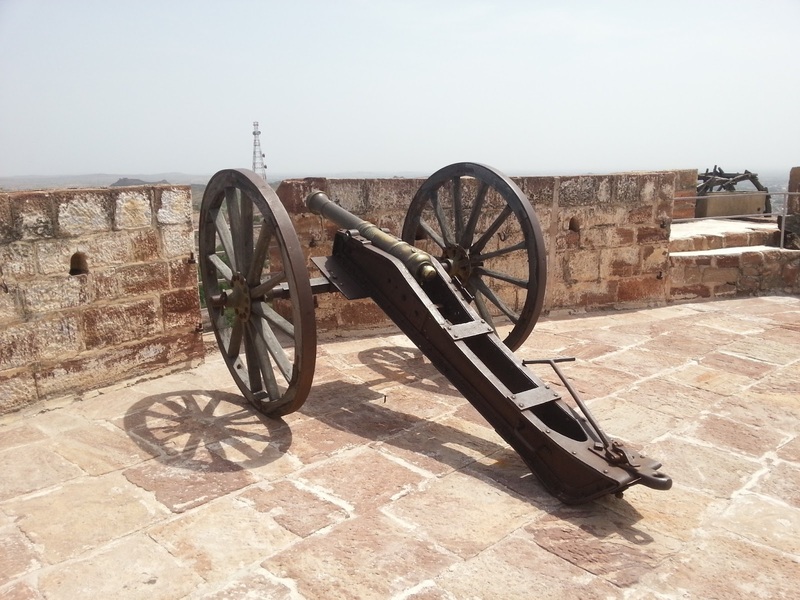 The artillery and artifacts that are thousands of years old, the beauty of the rooms, the temple built inside the fort, the passages, the intricacies in the design of the fort and everything about it marveled me. 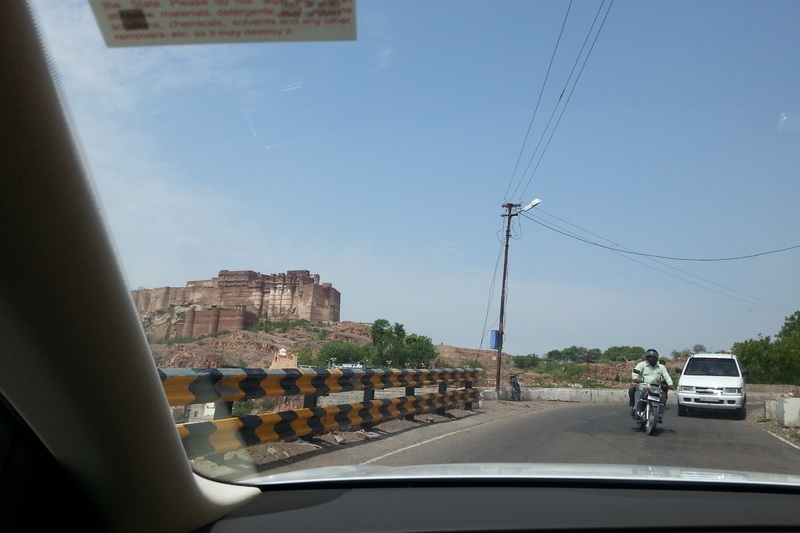 On my way to Mehrangarh Fort. The walk up and around the fort can be pretty tiring, but you don’t realize it because there is so much to see and hear. Plus the view from the top is totally worth it. 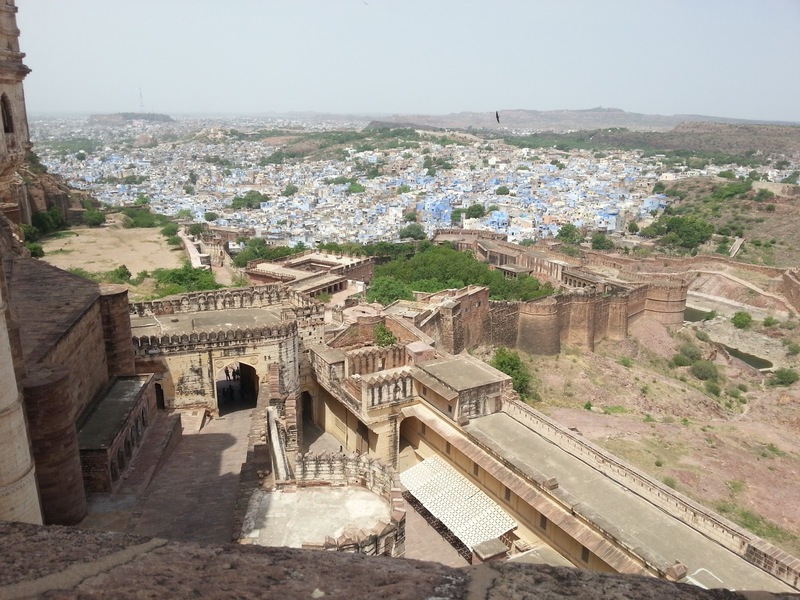 The houses around are all painted blue and the view they create from the top of the fort is why Jodhpur is also known as “The Blue City”. It looks so splendid that I just couldn’t stop myself from clicking away. My stay at Jodhpur was about to end, but not before a stop at a sweet shop. I had to eat the imarti and mirchi wada which were being made fresh right in front of us. The ease, expertise and speed at which they set out platter after platter of Rajasthani farsan can come only with experience and guidance that is handed down generation after generation. 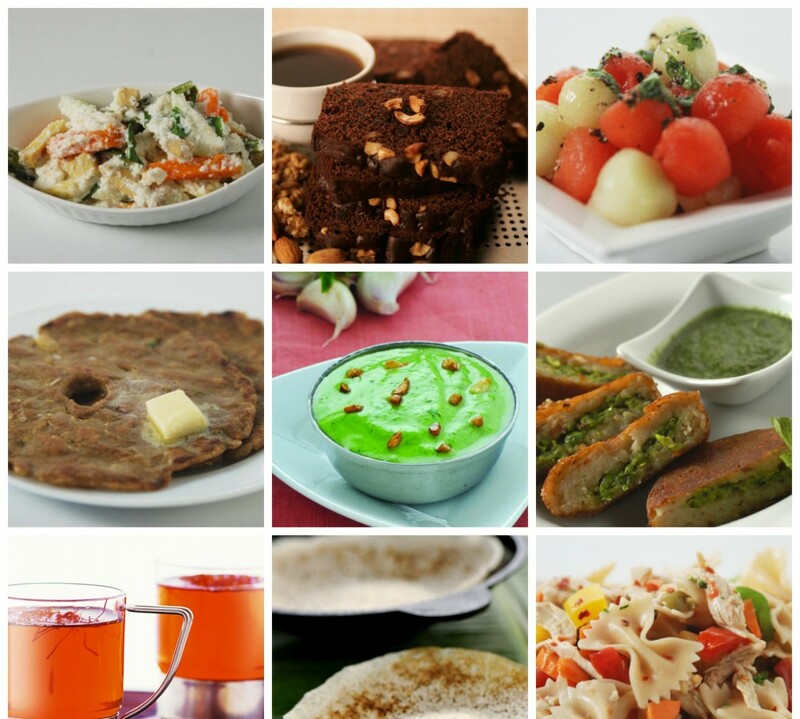 Ready To eat – Imarti! 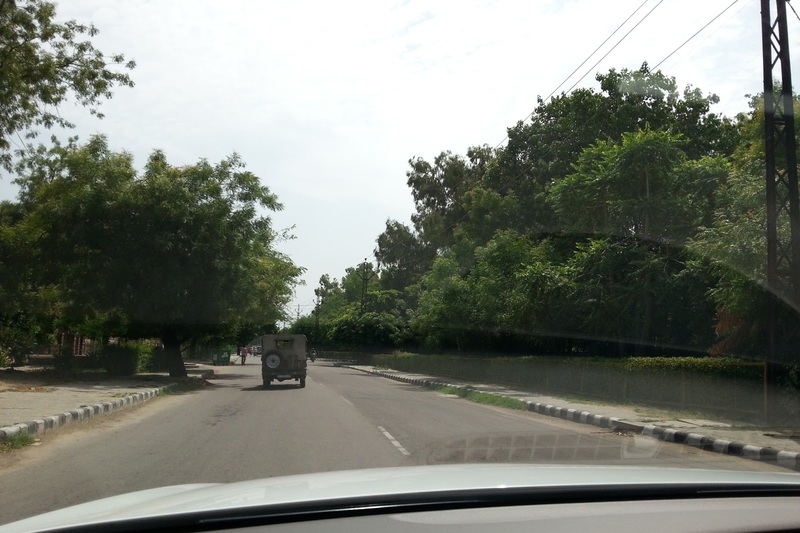 On my way back to the airport, I sat and soaked in the beauty and the charm of the city of Jodhpur and the joy of travelling on green traffic free roads. 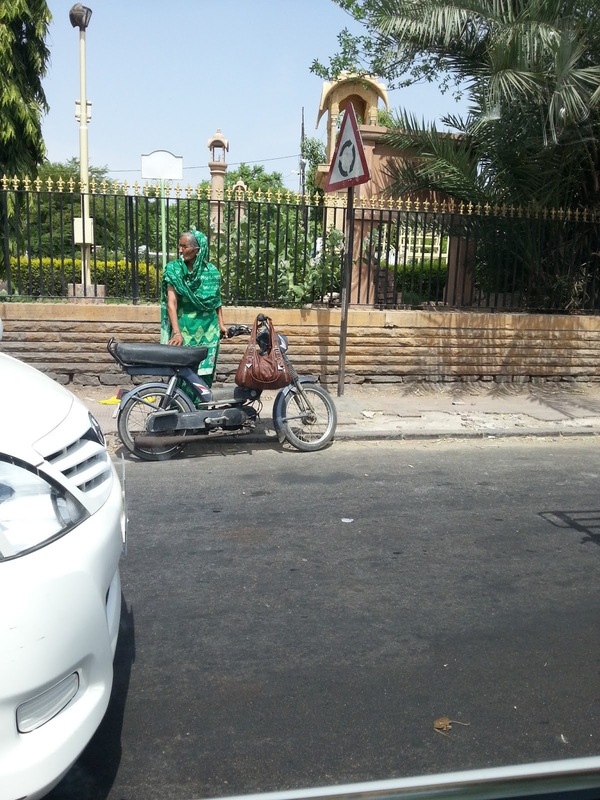 I also spotted this aged lady riding a moped – looking completely at ease with it and proving to us that age is just a number. 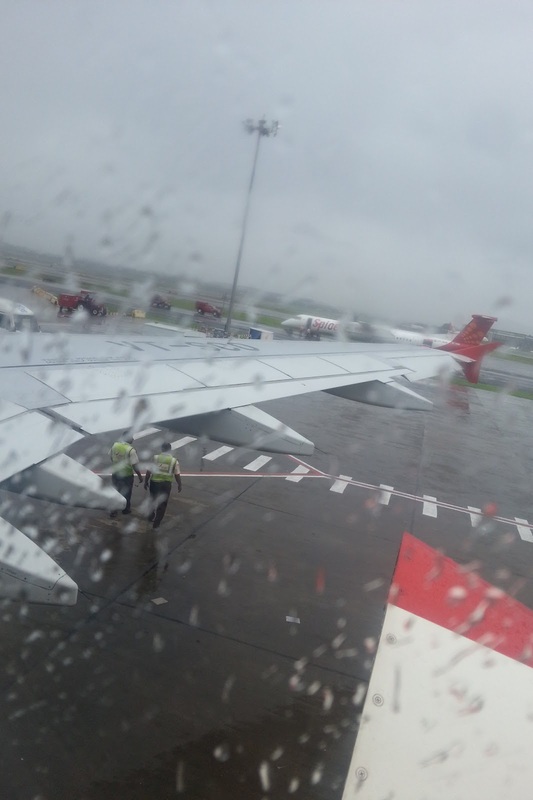 be welcomed by Mumbai Monsoons – experiencing the best of both worlds. I am so glad that everything went well. 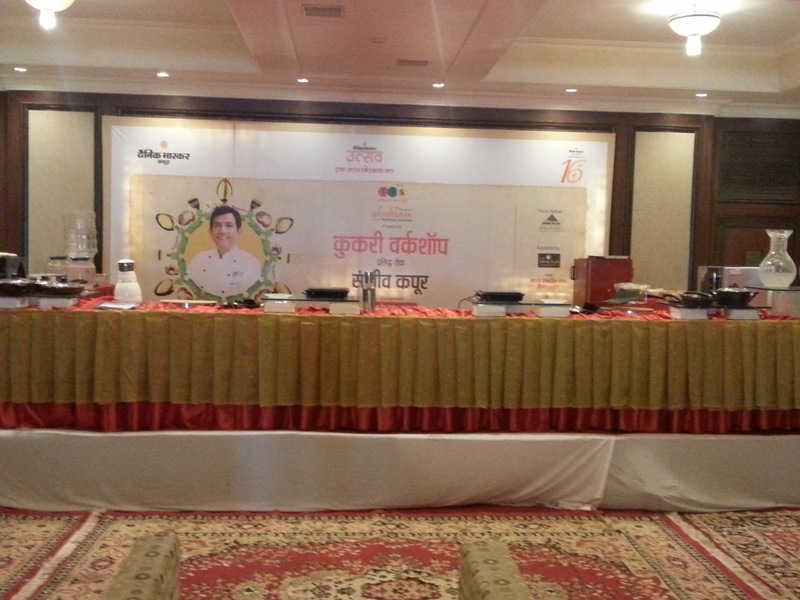 The event was a success, the people of Jodhpur were so welcoming and hospitable and the food was great. All in all a royal experience that I will remember for a long time!